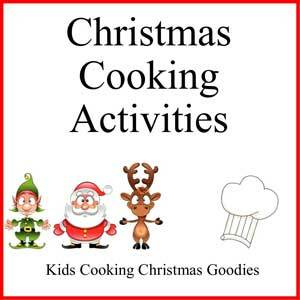 Christmas food gifts, ideas and recipes for Holiday giving. 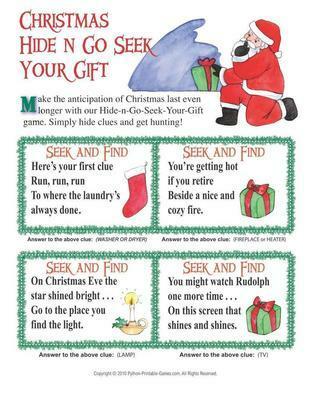 Whether you create, serve, or mail Christmas food gifts, those receiving them are sure to appreciate the thought, time and effort you put into their gift. Celebrating with food is a tradition and during the holiday season, you get to enjoy the taste of items not on your daily menu. With so many options, from cocoa cones to chocolate spoons, reindeer pops, and Gingerbread houses, you can satisfy the taste buds of everyone on your list. 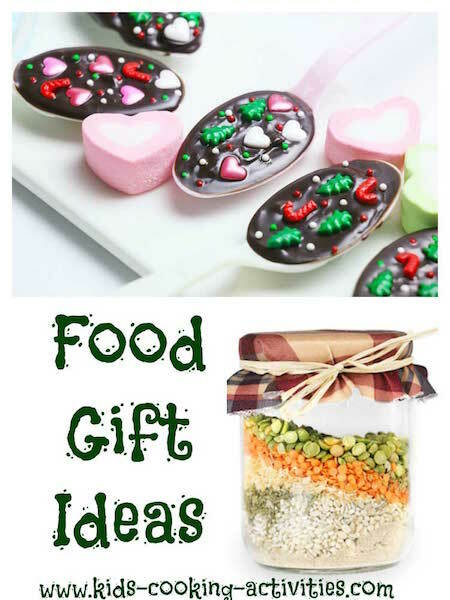 Try these food gift ideas as teacher, birthday or thank you presents as well. 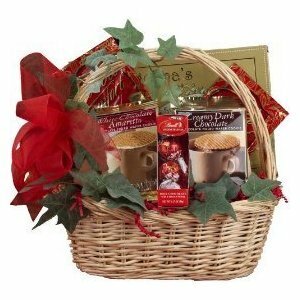 Edible Gift Baskets are popular holiday items, mostly because they offer a wide variety of products and because they make gift-giving simple. However, you should explore other options, such as individual size food gifts in tiny tins, cups, cellophane, glasses, or cones. One option is to make a cheese ball and wrap it in a small, round dish, available at craft stores. Line the dish with tissue paper, place the cheese ball inside, put on the lid, and tie it with a bow for personalized, creative Christmas food gifts. Another idea is to make small loaves of banana nut bread, carrot cake, or other quick bread and place them on a coffee cup plate. You can then place the coffee cup over the loaf so recipients get a surprise when they open the cellophane or tulle wrapping. For an extra special touch, tie a bag of cocoa to the cup or on the outside of the packaging. Nuts are a common gift item and have the potential to be a classy Christmas food gifts, if presented properly. You can buy a bag of pre-made nuts or flavor them yourself with cinnamon, cumin, brown sugar, or anything else you feel is appropriate. Or try this sugared nut recipe. Place the nuts inside a small glass and then wrap the glass or place it in a cellophane bag, tie it with a ribbon, and write a little note. If you are not mailing this item or know the person is going to open it the same day, you may also decide to place grapes in a small, rectangle box as an accompaniment to the glass of nuts. Learn to make some unique food gifts. In addition to baskets, Christmas food gifts also have a tendency to come in the form of jars, which is fine but sometimes its nice to be different. One way to stand out is to buy or make a small package of hot cocoa mix and place it in a mug with loose marshmallows and candy cane stirrers. Tie a ribbon around the mug and around the package of cocoa mix prior to placing it in the cup. Add a simple name tag over the ribbon and your gift is ready for the festivities. Another way to creatively give out jar mixes without the jar is to put the ingredients into shapely bags. 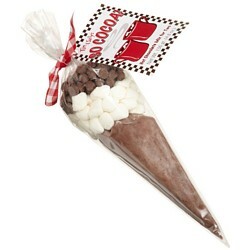 For instance, you can purchase a cone shaped bag and fill it with hot cocoa mix for a chocolate cone or fill a stocking shaped bag with ingredients for peppermint bark to make a colorful food gift. A cute idea for a child that enjoys baking is to put the ingredients for a gingerbread house inside a small dollhouse. Some of the best Christmas food gifts do not come in baskets, jars, tins, or boxes; they simply go on a plate or in a cup, tantalizing and ready to eat. This is the case with chocolate spoons; spoons that have handles for holding and bowls covered in chocolate. The bowl of the spoon holds the chocolate until it melts off while stirring a cup of coffee, cocoa, warm milk, or simply dissolves by numerous licks. 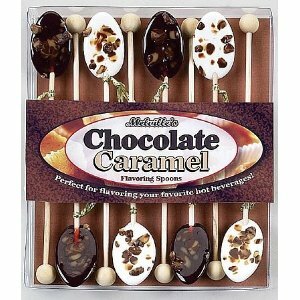 You may serve these spoons to guests with desert or add them to a teacup set and give them as a gift. Chocolate pops covered in Saran or cellophane, with pipe cleaner antlers and googly eyes make fun and yummy reindeer that kids and adults can enjoy. Homemade fudge, flat Christmas breads, bins of baked cookies, and decorated chocolates are other Christmas food gifts that family and friends are sure to appreciate, especially when its from the heart.